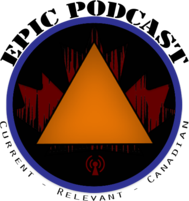 ​'Emergency Preparedness in Canada' (EPIC) is an educational and current events podcast for Emergency Management professionals. On the show we interview industry leaders, explore emerging research, and share practical tools of the trade. All this and more on this episode of EPIC podcast: Current, Relevant, Canadian.